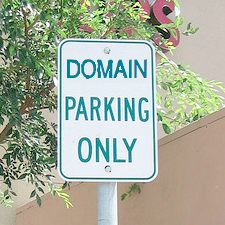 Domain parking is the registration of an Internet domain name without developing a website — in other words, without placing any original content or articles on the domain name. There are a host of companies that provide domain name parking to help owners monetize their domain names. Below is a list of domain name parking companies, in alphabetical order. If you would like to add a parking company, please contact the DomainSherpa Editorial Department.